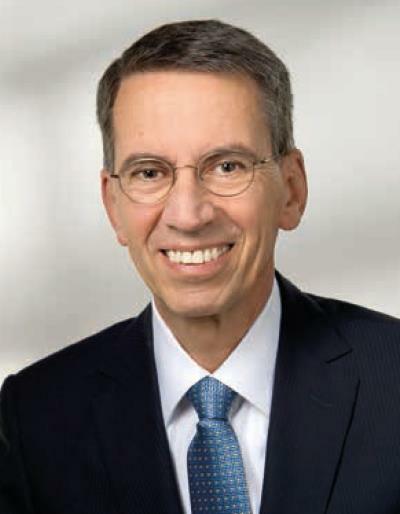 March 6, 2017 -- ECR Today spoke with the incoming European Society of Radiology (ESR) President Dr. Bernd Hamm, from Berlin, to learn about his ideas for next year's congress. The roles of president for the ESR and ECR again have been combined for 2018, so Hamm will assume both jobs for next year. ECR Today: You were already ECR president in 2015. How did you come to be president again in 2018? Dr. Bernd Hamm is a professor of radiology and chairman of the departments of radiology at the Charité, Humboldt-Universität zu Berlin, and Freie Universität. He is also the clinical director of the Charité Center, which includes radiology, neuroradiology, nuclear medicine, and medical physics. Image courtesy of the ESR. Dr. Bernd Hamm: This is not the first time that I have been asked, "Why are you president again?" It was a great pleasure and responsibility to be the ECR president in 2015. For many years, we had two presidents -- one to manage the affairs of the (ESR) and another to organize the society's annual congress (ECR). And frankly, in my opinion this was a good division of labor. However, "the times they are a changin' " and, therefore, our society changed its statutes, and now we only have one president, who is both president of the ECR and president of the ESR. This new combined ESR/ECR president begins his or her term of office at the end of each ECR by organizing and chairing the next ECR, and then the following year, as chairman of the board, focuses on professional and administrative business of the ESR. For me, this means a double honor and double responsibility. When I was elected to be the congress president for ECR 2015, I made a great effort to make the ECR a success and I will do my best to make ECR 2018 a success too. However, I wish to underline that the ECR is a team effort and that the Program Planning Committee with its brilliant members is a major asset in compiling an attractive scientific program and that the organization of a congress like the ECR is not possible without the highly professional staff of the ESR office. Working together with many colleagues from many countries and different fields of radiology is very inspiring and is what ultimately underlies an attractive congress. This joint effort is rewarding and enlightening. 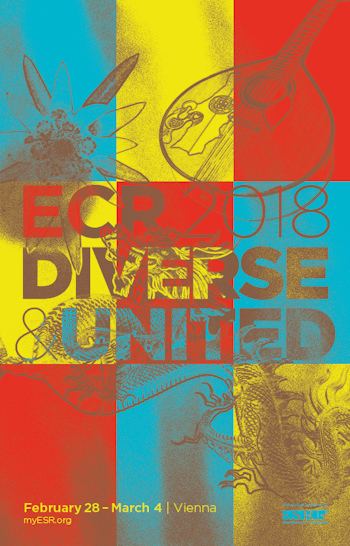 As a motto for ECR 2018, you chose "Diverse and United." Could you tell us a little about this? In 2015, we also had a motto "Radiology without borders." In the beginning of 2015, none of us would have expected to see new fences being erected in Europe and borders becoming important once again. In view of these tendencies, it is even more important for our scientific community to practice radiology without borders and advance our specialty through free academic discourse and by benefiting from a diversity of ideas. As president of ECR 2015, you introduced quite a few changes, such as the restructuring of the session categories according to the European Training Curriculum for Radiology. What was the reaction? The restructuring of the session categories certainly was helpful in making the program structure clearer and more transparent, and thus helping participants to choose lectures, courses, and workshops that best suit their needs. The feedback was overwhelmingly positive, and I am happy that Dr. Katrine Riklund and Dr. Paul Parizel maintained and further refined this new structure as the presidents of ECR 2016 and ECR 2017, respectively. Specifically, participants liked the ECR Academies and the European Diploma Prep Sessions. The ECR Academies consist of a series of sessions relevant to a particular area of radiology and may appeal to general radiologists and subspecialist radiologists alike. The content of the ECR Academies mostly corresponds to level III of the European Training Curriculum. The European Diploma Prep Sessions aim to help future candidates prepare for the European Diploma in Radiology (EDiR). The content of the program reflects levels I and II of the European Training Curriculum. These courses are held in close cooperation with the European Board of Radiology (EBR), and they are great for getting an overview of the European Diploma in Radiology (EDiR). Are there any innovations already in the pipeline for ECR 2018? The ECR has a worldwide reputation for tackling new challenges and always being open to innovations. However, its attraction primarily rests on the quality of the presentations and its sound organization. We are aware that not all radiologists can come to Vienna to attend the ECR, and those who do attend can only participate in one interesting session at a time. As a result, already almost 6,000 ESR members attended the congress remotely in 2016, following ECR presentations via ECR Live. Via this service, all ECR presentations are available to members for 12 months. Digital ECR attendance is on the rise and meets the demands of our members. For 2018, we are planning to use ECR Live to offer a special service to our colleagues in China: It is intended to select around 500 presentations to be translated into Mandarin Chinese for the radiological community in China. I am very eager to see how we can realize this and what the feedback will be. This is important for getting more colleagues interested in our society and promoting international cooperation. At the same time, it makes the ECR more visible around the world. What other special focuses will there be at ECR 2018, and are there any further innovations especially designed to cater to the needs of radiographers? Daily clinical radiology is teamwork. This also primarily includes radiographers. We are planning to pay more attention to the needs and interests of radiographers at the ECR in the future. To this end, we are in contact with the European Federation of Radiographer Societies (EFRS) and the national radiographer societies to tailor special program sections to their specific interests. As many radiographers see language as a major obstacle to attending the ECR, we are planning to again offer sessions for radiographers in different languages to overcome language barriers. Similar considerations have led us to a change in the Voice of EPOS format, in which the authors of posters are now offered the opportunity to present summaries of their posters in their native tongues. First introduced as a pilot project, the Clinical Trials in Radiology session format is becoming more and more important. These sessions are a platform for presenting the most recent prospective studies and results of multicenter trials. This is a true asset in the era of evidence- based medicine in radiology. Can you already reveal any highlights we can look forward to at ECR 2018? I hope that ECR 2018 will again be remembered for a grand opening ceremony, the honorary lectures, the social events, and most of all for a spirit of friendship and open-mindedness. The essence of the ECR is to provide a platform in which the presentation of high-quality scientific and educational content goes hand in hand with initiating and deepening professional contacts, networking, and making new friends. The current hot topics in radiology are big data, artificial intelligence, and radiomics. These are exciting issues that we have to deal with in the near future by recognizing the chances these developments have in store for us in terms of improving the quality of our work and patient care. We need not fear them as competitors -- I firmly believe that radiologists will always have a pivotal role in both diagnostic and interventional therapeutic patient management. And I also firmly believe that our specialty will benefit from these developments. Innovations mean advancement -- a case in point in radiology is hybrid imaging, which will be another focus at ECR 2018. You were actively involved in the creation of the poster for ECR 2018, which features a flower, a stringed musical instrument, and a dragon. How did you come up with this poster, and what inspired these motifs? Honestly, it is becoming more and more difficult to come up with new ideas for our poster. For next year's congress, we opted to allude to our guest countries. The edelweiss, the guitar, and the dragon represent the partner countries of the ECR 2018: Switzerland, Portugal, and China. What is also important to me is the motto "Diverse and United" on which I have already commented above. This leads directly to the next question: Can you already tell us about the ESR Meets program sessions? The ESR Meets sessions aim to provide a special opportunity to the invited countries' radiological community to present topics that are of special interest, and at the same time to present a flavor of their country through different short interludes, for example, about their special culture or landscape. The ESR Meets sessions contribute to the ECR's diversity. Over recent years, the ESR has greatly increased its commitment in Latin America. Do you expect to further expand this commitment, or will the society be reaching out to other regions? I am happy about the growing interest among our colleagues from Latin America in the ECR and the activities of our society in this region. In addition, a large proportion of our members and a constantly high number of ECR participants are from Asia -- and we, therefore, also wish to coordinate our activities with radiologists from this part of the world. This is reflected in our endeavors to make available a selection of presentations at ECR 2018 to the Chinese radiological community in their native language via ECR Live. While we have already successfully established joint sessions with the Radiological Society of North America (RSNA), we are currently exploring the possibilities of a joint session with the Asian Oceanian Society of Radiology (AOSR). I am convinced that substantial contributions from these radiological societies further contribute to the diversity of the ECR and make our congress even more attractive, and the speakers of our congress even better known worldwide. As ESR president, your most obvious focus for the next 12 months will be ECR 2018, but you will also have numerous other responsibilities. Can you tell us a little about your official duties for the year? While there is excellent cooperation among the colleagues on the board of directors and those on the executive council of the ESR, the different bodies and officers also have specific tasks: An important function of the ESR president is to maintain and extend relationships with other societies and contacts throughout the world of radiology. This involves interesting new opportunities, and I can use my existing international contacts to now officially represent the ESR all over the world for the next year. To finish on a personal note, what made you choose radiology over any other medical specialty, and how would you "sell" radiology to medical students? This choice was quite easy for me -- and I was destined to become a radiologist from my school days. My father was a radiologist with his own practice, and after school I often went to see him in his practice to then drive home with him. In those days, I got my first ideas about radiology (which at that time was dominated by fluoroscopy). What was important for my choice of career was that my father was a very enthusiastic radiologist who loved his profession and found great satisfaction in his work. Since my childhood days, of course, radiology has become more diverse and even more interesting. In radiology, a physician can find a field of interest to his or her liking -- from a more descriptive activity to a more active role, e.g., in interventional radiology. And this is not only my personal experience, but also what one can observe again and again among medical students: As a rule, medical students come into contact with radiology late in their training. As a result, they only have rather abstract notions about radiology during their studies. However, once they learn more through lectures, workshops, and practical training, they become enthusiastic and switch to radiology. Our "Invest in the youth" program aims to attract students and young doctors to our specialty and help them in pursuing their careers in radiology.